This evening is the commemoration of one of the worst aviation crashes in history. 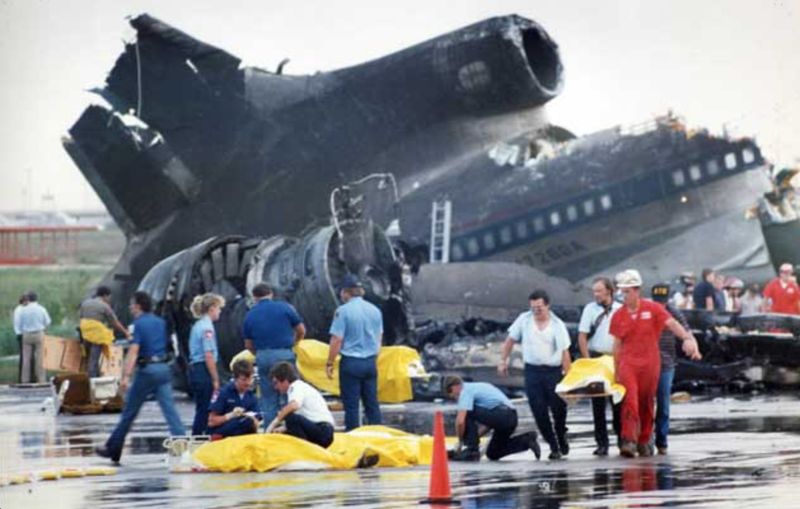 The crash of Delta Flight 191 at DFW International Airport in 1985. It crashed in a downburst -- then, the cause of airline accidents or incidents every 18 months to two years. The crashes occurred on take off or landing (not enroute) as indicated in the diagram below. Airplanes rely on air flowing over the wings to stay aloft. If the airflow increases, the plane lifts. If it lessens or stops, the plane drops or even crashes. Pioneering meteorologist Dr. Ted Fujita discovered downbursts in 1977, but the scientific consensus said he was wrong. So, planes kept needlessly crashing. It wasn't until the Delta crash that things changed. 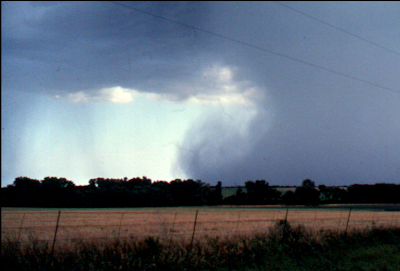 In a case that involved some skill and a lot of luck, my friend meteorologist Steve Amburn and were out storm chasing in 1978 and I photographed the first ever sequence of downburst photos which helped confirm Dr. Fujita's hypothesis. One of the series of photos is above. You can see the curling motion as raindrops ascended. In July, the National Weather Service in Las Vegas made the video below available. The air motions are completely visible and fascinating to watch with the primary downburst and two secondary downbursts. In Warnings: The True Story of How Science Tamed the Weather, I tell the entire story of the conquering of the downburst (the last airliner crash was in 1994) including the subsequent litigation that resulted in making air travel much safer. If you are a weather fan or have any interest in aviation, I believe you will find it to be a fascinating read.